Nebraska was one of the last states in America to adopt a state flag, so the Nebraska flag has not had time to change since it was first adopted. Citizens have discussed the possibility of making changes to the flag of Nebraska, but the state legislature has never approved any efforts to alter the Nebraska flag. Like many other state flags, the flag of Nebraska consists of a dark blue field that displays the state seal in the center. 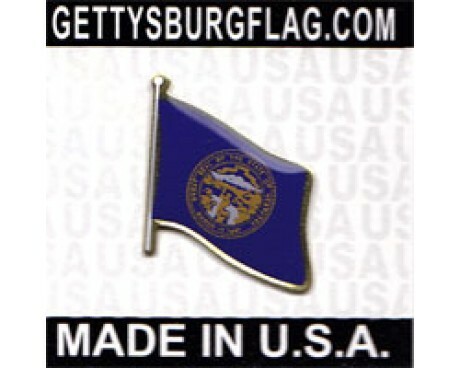 The seal on the flag stands out from those that can be found on the other state flags because it is displayed in shades of blue, silver, and gold rather than featuring the wide variety of colors that can be found on many other state flags. It depicts a train traveling between two mountains, a steamship on a river, and a blacksmith working near a farmhouse and field. Each image on the seal represents an important part of the state's economic history, from agriculture and industry to shipping over rivers and railroads. 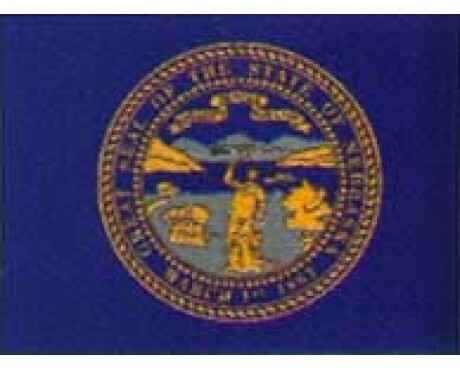 Nebraska state flags are among the youngest flags in the United States. 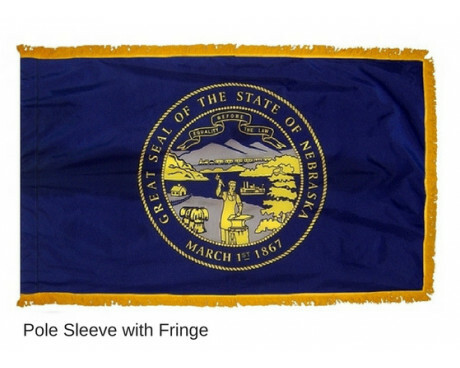 Nebraska went through the majority of its history without designing a state flag. The state government primarily represented itself with the national flag on the United States, although it did use the state seal when an independent symbol was necessary. 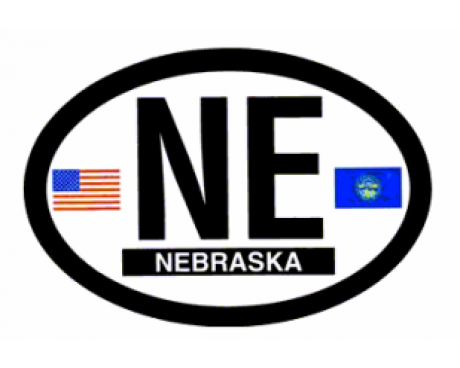 The state seal of Nebraska dates back to 1867, which was almost a full century before the state chose to adopt a state flag. 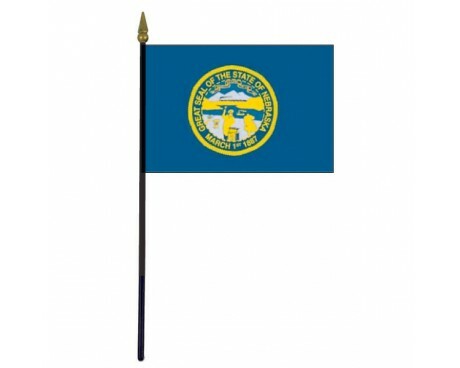 Nebraska state flags began as state banners. A lawyer from New York proposed a state flag for Nebraska in 1921, but the government did not see fit to approve it. The current design was approved for use as a banner rather than as a state flag in 1925, and it saw unofficial use as a state flag shortly after that. The state government approved the design for use as a state flag in 1963. The design has never been changed, but a governmental committee did propose that the legislature investigate the possibility of changing the flag in 2002. 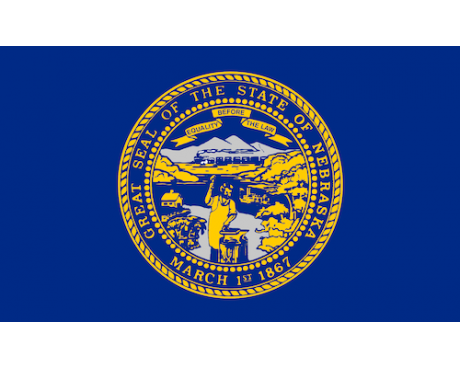 The proposal failed, and as such Nebraska remains one of the states that has never changed the design of its state flag. Nebraska is rich in prairies with very high fertility, and the crops of maize, barley, wheat, and many more are reflected in the sheaves on the left. In the background, a boat sails on the Missouri River, and a train runs along the foothills. In 1867 Isaac Wiles, who was a member of the House of Representatives, designed the seal. The motto of the state is on a scroll at the top of the seal, and the date of entry to the Union appears on the rim at the bottom. Soldiers serving in Europe during the First World War were sent the flag. The Daughters of the American Revolution, (with the addition of the state flower), adopted the flag ,and it was approved by the state legislature but without the flower, and in 1925 the flag was first hoisted before a football match at the University of Nebraska. It was not officially adopted by the legislature until 1963. Nebraska is a state that is leading in agricultural states. In 1541, it was first explored by Coronado, and later became part of French Louisiana. 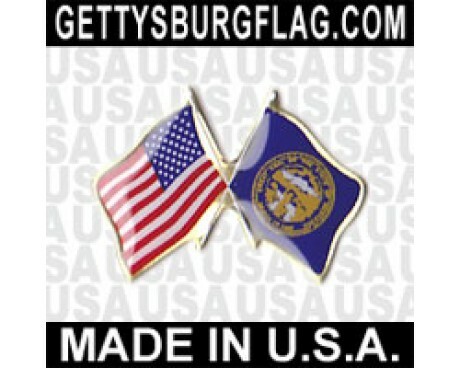 It was sold to the U.S.A. and became a Territory in 1854. Nebraska was admitted to the Union on March 1, 1867.